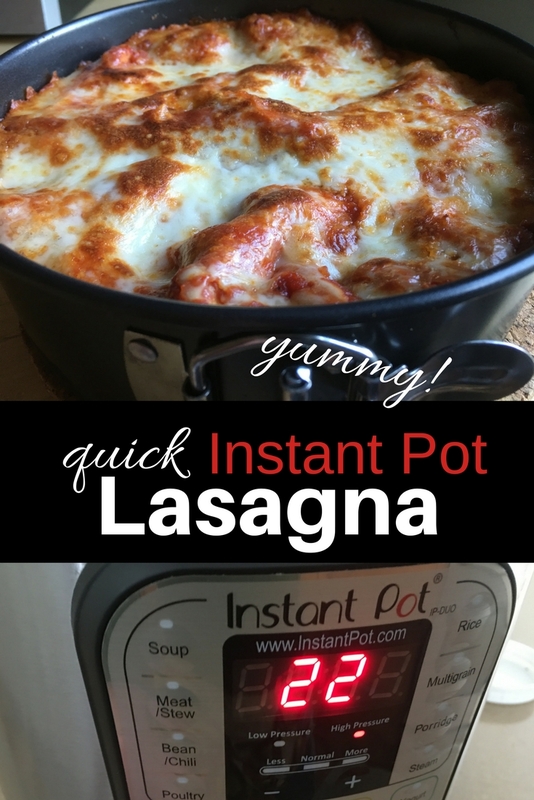 If you like lasagna, you are going to love learning how easy it is to make in the Instant Pot. This is one of my most favorite things to make in the Instant Pot so far. It is quick AND delicious! No more cooking the noodles first. 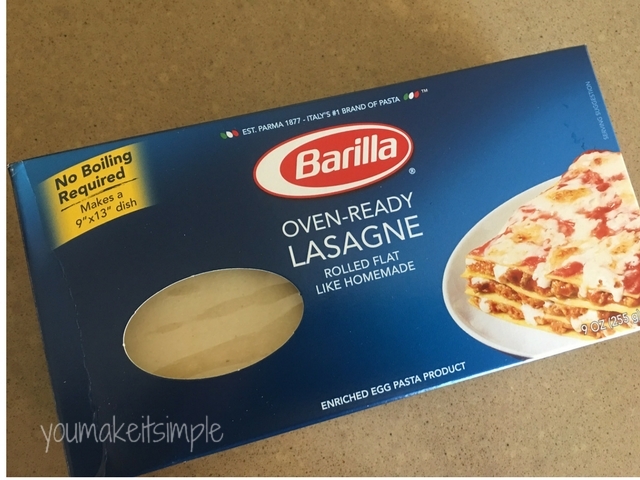 Using the “no boil” lasagna noodles shortens the time and makes the dish tastier. I personally prefer this thin flat noodle over the thick traditional wavy ones. You can use the regular noodles just add 3 minutes to the cooking time. 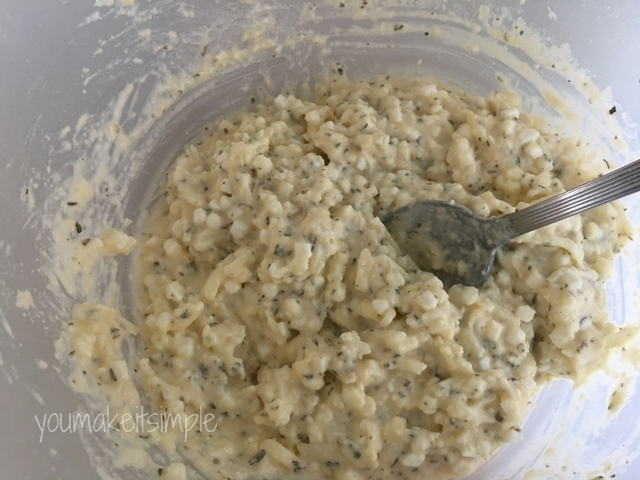 Although it doesn’t make up a huge batch (serves 4), it is a great for couples or single folks, (Because you have to have at least one serving to take for lunch the next day). You know what I do? 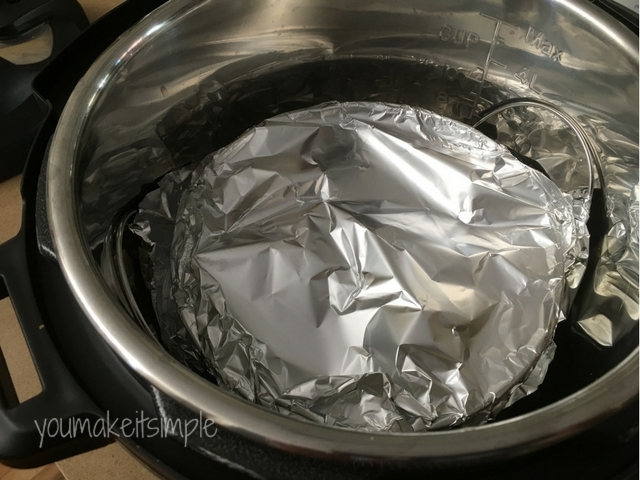 I make two batches up with my other Instant Pot. Yep, I use two pots all the time!!!!!! 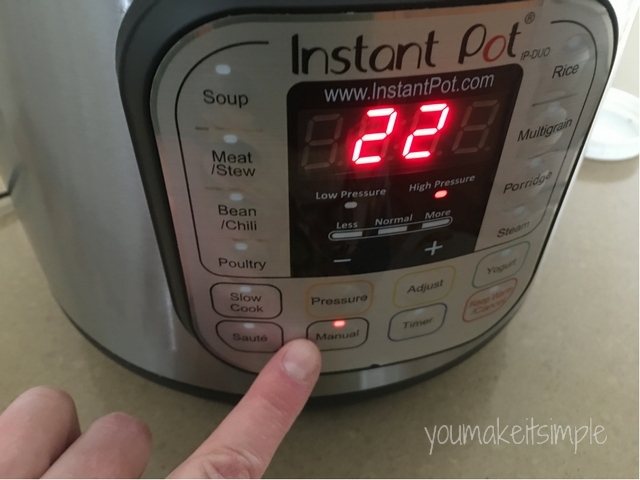 Having two Instant Pots………something to consider? 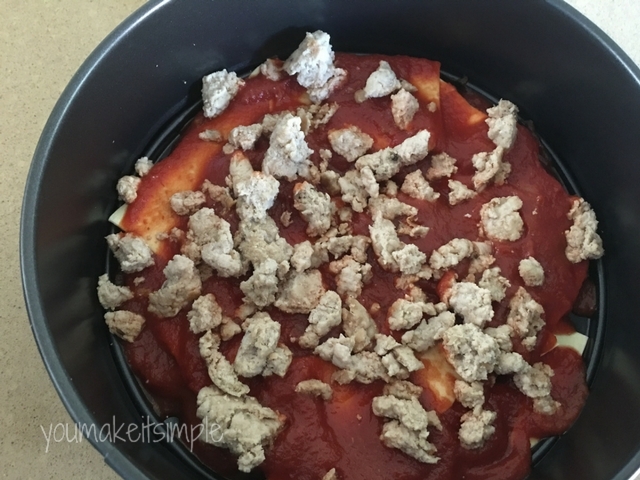 1/2 lb cooked ground beef or turkey sausage (optional) This turkey sausage is made from ground turkey and is so delicious!!! 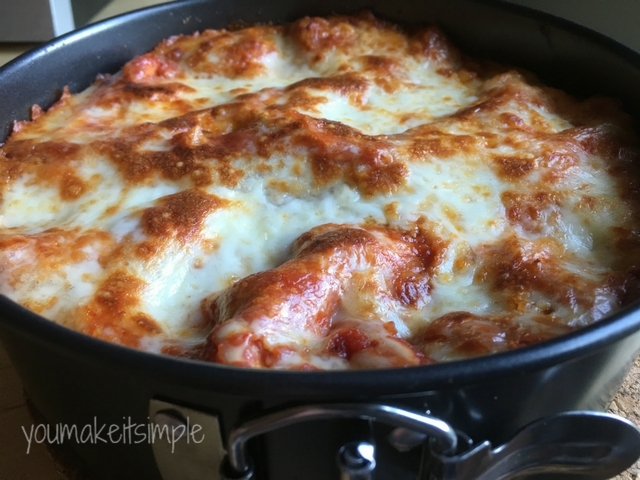 No Boil lasagna noodles, regular noodles can be used just add 3 minutes to cooking time. (You will not use the whole package). You will need a 7 inch pan like this. 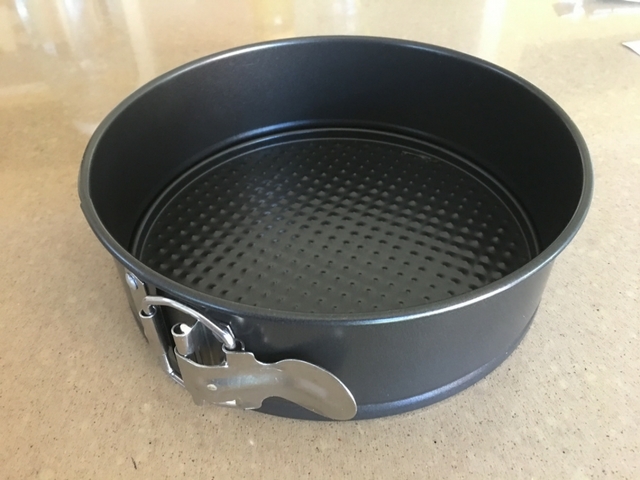 I really like these spring form pans because they fit really nicely in the Instant Pot. Place noodles in the bottom of the pan. 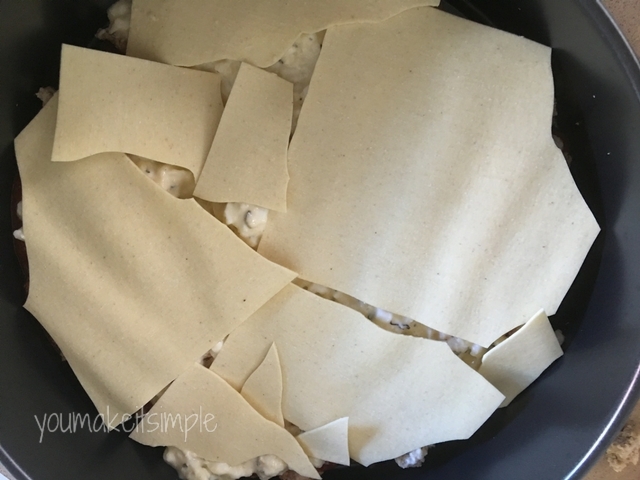 (You will need to break and casually piece noodles together to cover the bottom of pan). It doesn’t matter if the noodles overlap. Pour enough sauce on top of the noodles to cover. 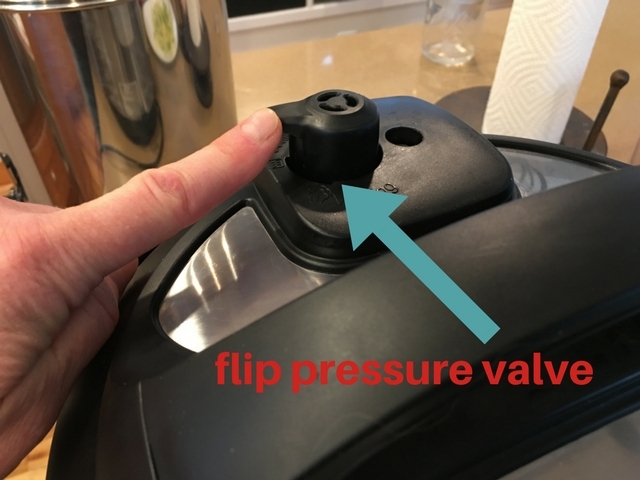 When the beeper sounds, do not remove lid, let the pot NATURAL RELEASE for 10 minutes. 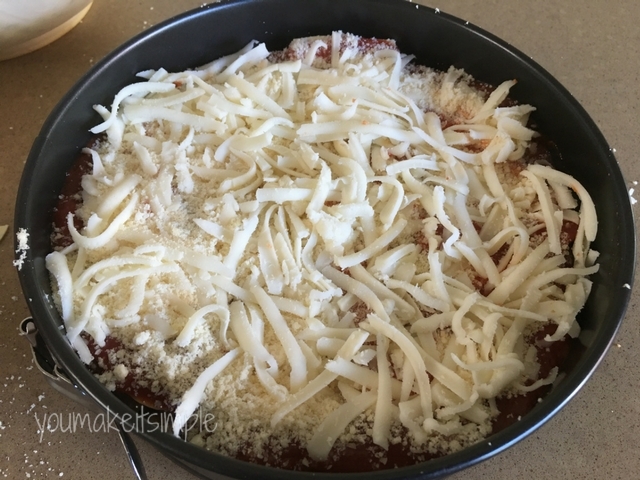 If you want the top cheeses a little crispy like I do, place the pan under the broiler for a few minutes or until your liking. 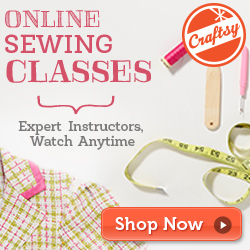 Remove spring form pan and using a plastic knife or plastic utensil, cut into serving sizes. Metal knifes or spatulas will scrape the nonstick surface of the pan. 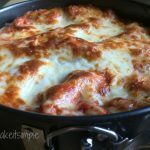 If you like lasagna, you are going to love learning how easy it is to make in the Instant Pot. This is one of my most favorite things to make in the Instant Pot so far. It is quick AND delicious! No more cooking the noodles first. 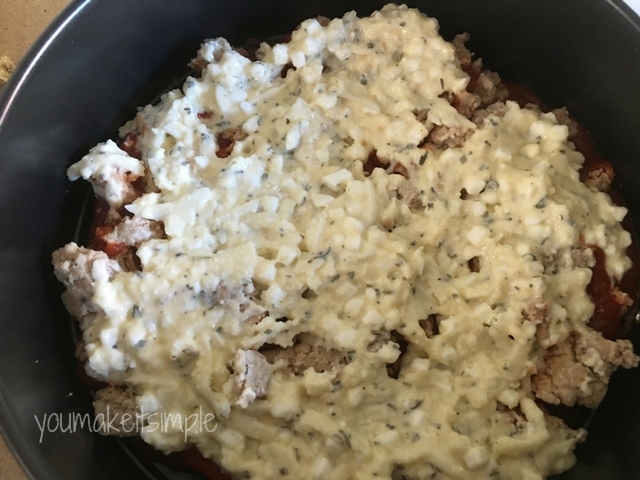 1/2 lb cooked ground beef or turkey sausage optional This turkey sausage is made from ground turkey and is so delicious!!! 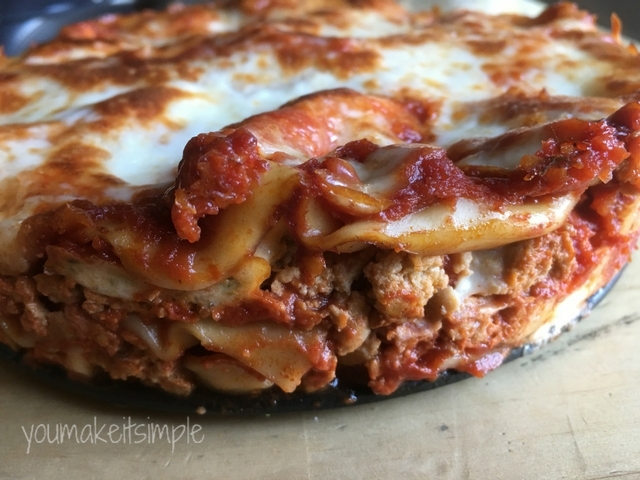 No Boil lasagna noodles regular noodles can be used just add 3 minutes to cooking time. (You will not use the whole package). 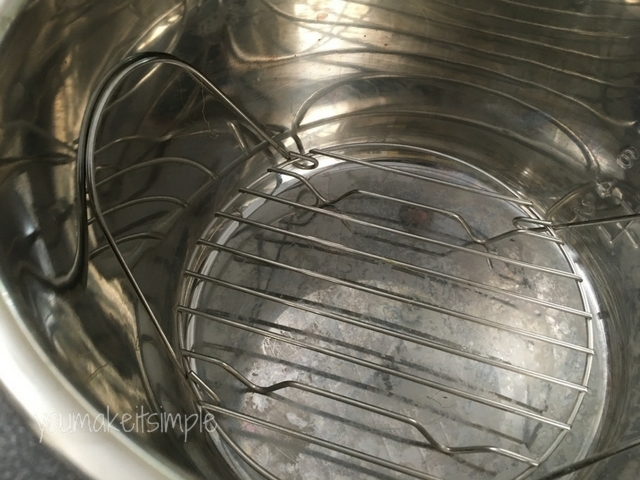 Place noodles in the bottom of the pan. (You will need to break and casually piece noodles together to cover the bottom of pan). It doesn't matter if the noodles overlap. 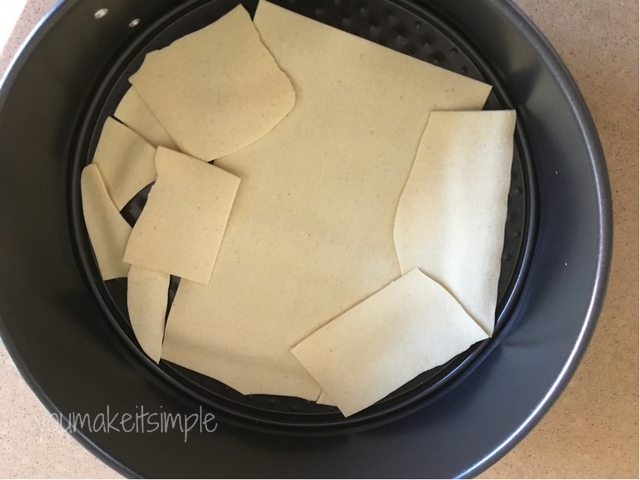 Is there a place to just print a one-page recipe? I love the detailed instructions, but I would like to be able to print the recipe. 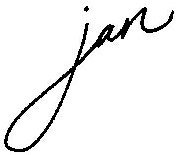 I just added the printable recipe. So if you go into the post you can “jump to recipe” and print if you want. Enjoy the rest of your day! How is this gluten free? I’m sorry, but where did you read it was gluten free? I don’t believe I wrote anywhere that is was. If you could let me know where you saw that, then I could set it straight. Thanks for your awareness. I appreciate your feedback. April, it looks like the Pinterest automatically added that when it was pinned. Not sure how to correct it, as I have no indications anywhere in my recipe. Weird stuff. Sorry, that is way misleading. So, maybe it’s just me… But when reading the instructions and then looking at your how to, it says to mix everything together except for the meat And noodles. But, on the step-by-step it looks like you don’t mix in the sauce for the mozzarella and Parmesan with that either. Is that correct? Just the cottage cheese and seasoning and then begin layering? You are correct! I will re-word that to read “add everything except noodles and SAUCE” for the cheese mixture, and layer accordingly.